My dad is an original maker. 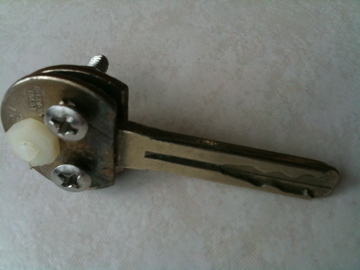 When I didn’t want to pay $200 to replace a broken car key housing, he sent me this vice made out of quarters he fashioned and all the parts I needed to attach it to the key. Aa biomedical engineer, he led a study showing that a non-invasive mask can save people from respiratory failure as well as intubation. The technique is now common practice and, fittingly, the device helped saved his own life several years ago. He also invented a piezoelectric band to measure heart rate and breathing during sleep more comfortably than electrodes. 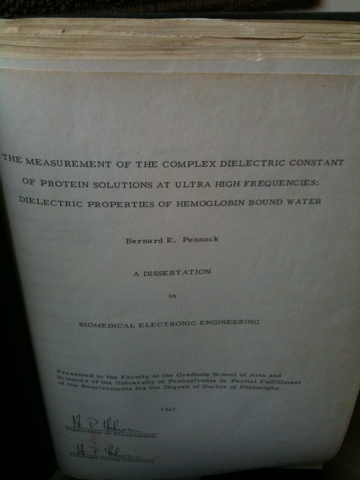 He did his Ph.D. dissertation on, in a sense, protien folding, in the days when cut and paste meant scissors and glue. 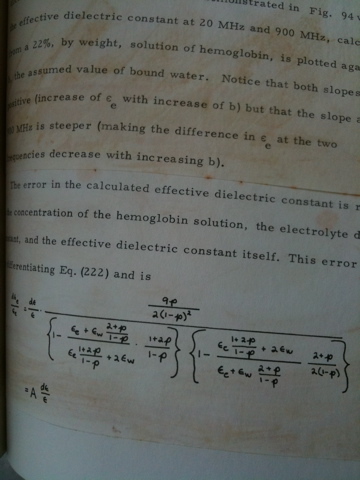 I have an original copy of his dissertation and it’s a beautiful object to behold. 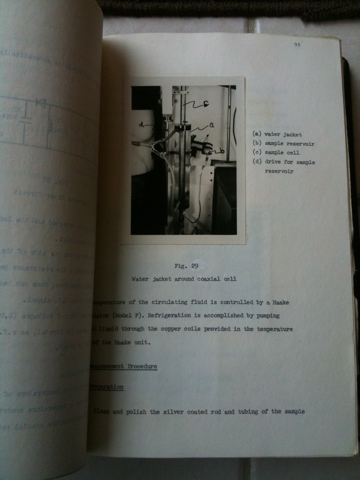 And what about that blowtorch fountain? 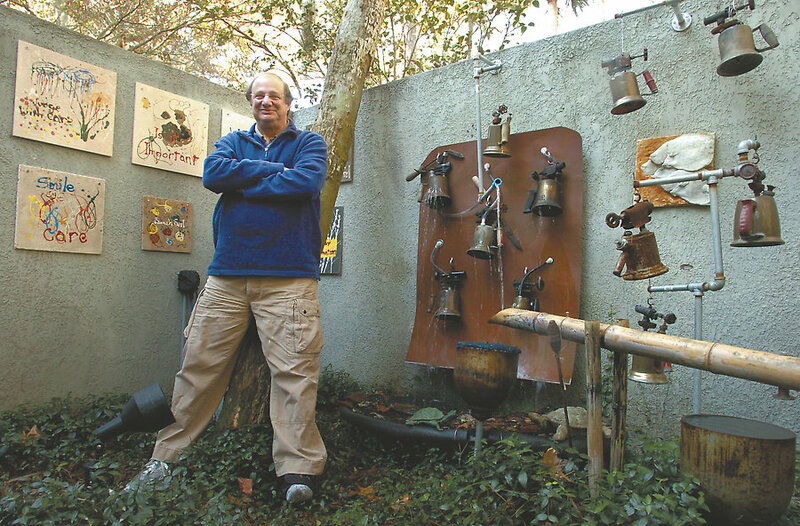 Read about it in this profile of my dad by Maureen Simpson highlighting both his hacker and painter sides. In his retirement, Bernie Pennock found a way to turn fire into water. The former medical research scientist said it was just one of the many problems that needed solving in his home, where art has become the answer. Inside his home — on lampshades, along walls and attached to windows — guests can see numerous examples of the former scientist’s artistic experiments. His most recent obsession, apart from the fountain, has been working with stained glass. 12 stained glass windows designed by Marc Chagall at the synagogue of the Hadassah-Hebrew University Medical Center in Jerusalem, Israel. Pennock said he usually buys the windows from a Habitat for Humanity store and gets his stained glass from a supplier in Charleston. The next project he plans to take on is a bamboo sculpture, because he’s running out of windows. Oh, my brother and sister are makers too. And my mom a trailblazer. I’ll leave those for another day. This more personal post inspired because Robin says Tyler says it’s OK.
so sorry to hear about your dad–but this is a great piece about him–it brought a smile to my face–you should post this again! thinking of you and your family. Thank you so much Jennifer. I really appreciate it.